Putlocker is no doubt, a household name when it comes to websites to watch movies online for free. The website has been in existence long enough to deserve that spot. Asides being a household name, it’s so popular that some major internet service providers deemed it fit to block access to it thus making it almost impossible for users to have access to putlocker.to website. However, the way around this is via the use of VPNs. Virtual Private Networks (VPN) makes it possible for users to access websites that are normally closed to certain regions. Asides that, the use of VPNs allows you surf the internet safely and anonymously. That way, your original IP cannot be traced. A VPN I would recommend at this post, is PureVPN. You can’t go wrong with that. If however, you are able to access putlocker yet, on the lookout for sites similar to putlocker.to, you are in the right place. In this post, we will be looking at the best 10 putlocker alternatives to watch movies online for free. On the sites that we will be looking at in this post, users will be able to watch movies online for free. Asides movies, the sites make provisions for TV shows. That way, you can go ahead and stream your favorite TV shows for absolutely no extra cost. Again, it isn’t entirely safe to watch movies online in some countries as this is considered illegal. And for this reason, it makes sense to mask your IP. That way, you can access these websites and stream movies without being traceable. And again, I’d recommend using PureVPN for this. 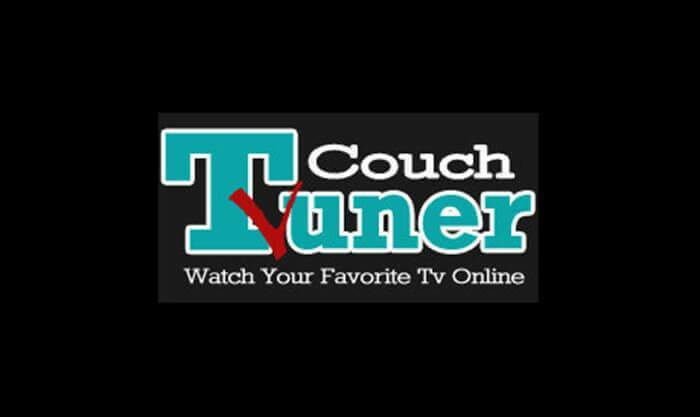 Coming first, is couchtuner. If you are into streaming movies online, there is a chance you must have heard about couchtuner. If you haven’t, you are welcome. 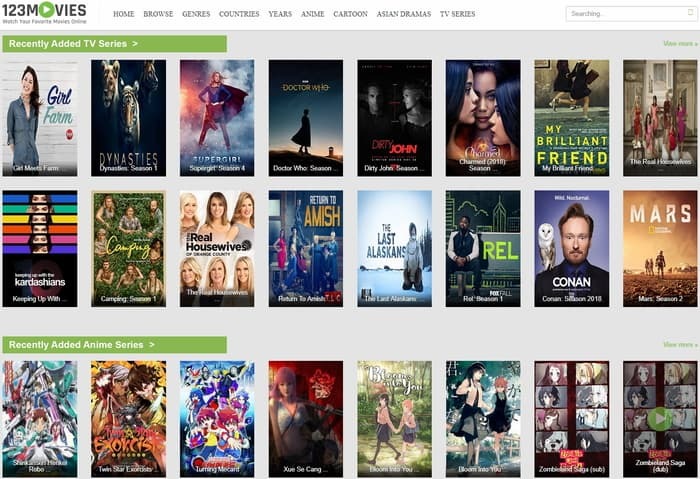 Couchtuner is an awesome alternative to putlocker as it offers a wide variety of free movies for users to enjoy. There is also provision for TV shows and the interesting thing is, latest episodes are updated as soon as they come. While the website does offer movies, it seem to have more of TV shows in its database. With almost 2000 page long catalog of movies and TV shows of all genre, you really cannot go wrong with los movies. 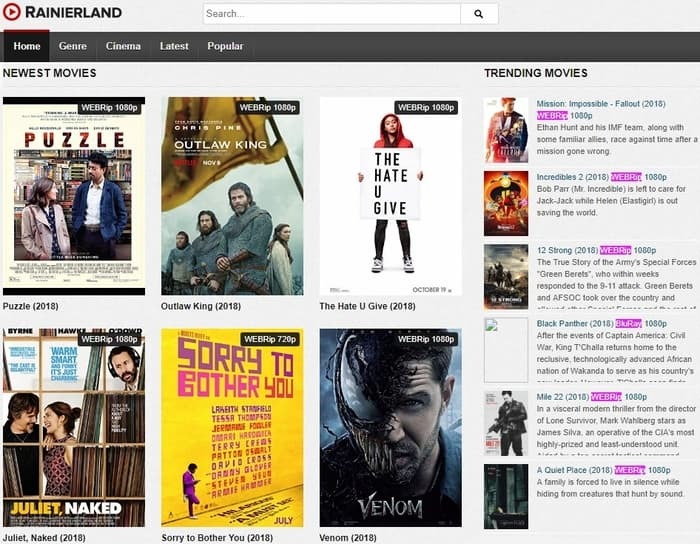 The website makes it easier for you to find movies and shows to watch with its intuitive search option. On the homepage, you’d find a couple of latest movies alongside the quality option it’s available in. This can vary from CAM to HD to DVD. 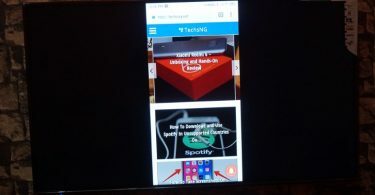 Although the website uses a rather annoying ad system, experienced users can still work around this and enjoy their favorite shows and movies. Just like other sites already mentioned in this list, solarmovie is also a household name. Solarmovie prides as one of the biggest online streaming sites on the internet. This obviously, is as a result of the content on the site. There are a whole lot of movies and shows to steam on the platform. 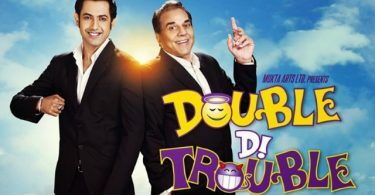 The website also has a emailing services through which if subscribed to, you get to know about new movie releases and when some blockbuster movies become available in HD versions. Solarmovie offers suggestions with HOT, Top views today, Top favorite and top ratings being the inline options. With this, you can be sure to get around finding new movies to stream online everyday. 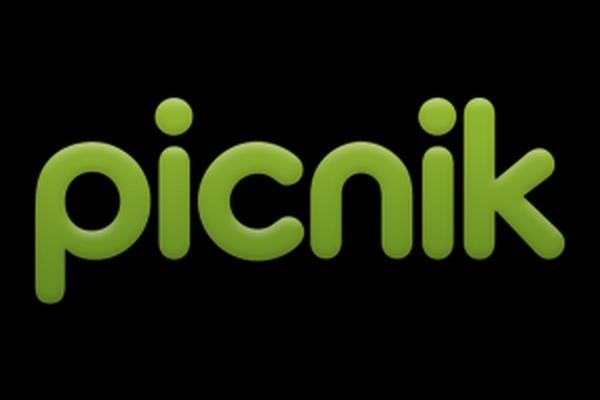 Indeed, this is a cool alternative to putlocker.to. ZMovies is another awesome website to watch full movies online for free. 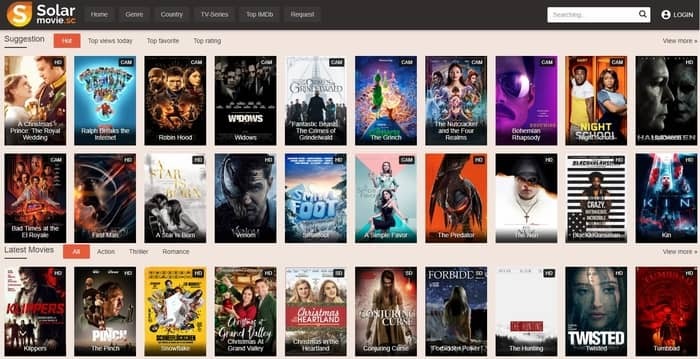 Although quite relatively new compared to other websites in this list, Zmovies is definitely worthy enough to be considered a similar site like putlocker. 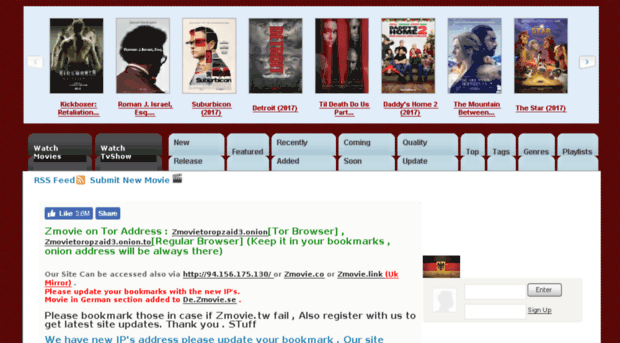 On the homepage of zmovies, you can select movies by their year of release and Genre. Asides that, you also get to see some of the latest updates movies. There is also a most popular session which should aid you in finding movies are other users on the platform are enjoying. This way, you get to explore more movie options. 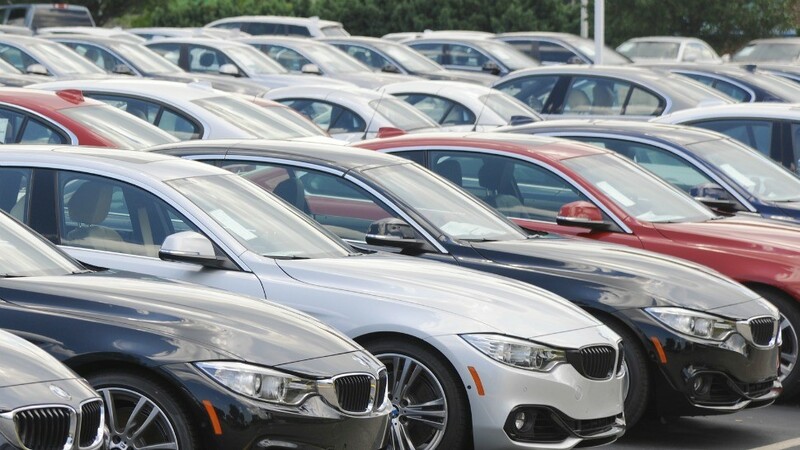 Although I personally didn’t encounter any annoying pop up ad on the site which is interestingly awesome, use of the site seem to require registration which I can understand is a bit of a turn off. 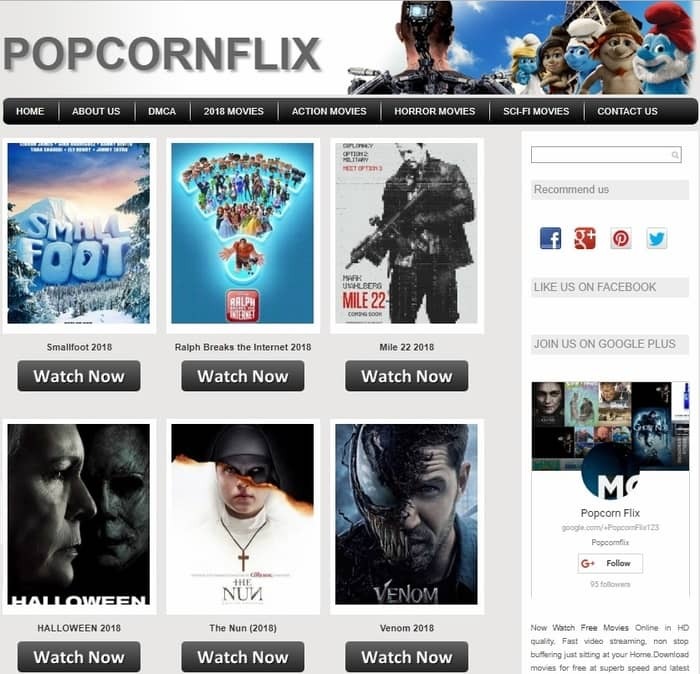 Popcornflix prides as a big platform where you can watch free movies online and also download unlimited films without spending money. While that makes sense, every other site that has been mentioned so far, doesn’t require spending money. Of course, except data for actually streaming the movies and shows online. This is also relatively new compared to other websites on this list and that’s fine. 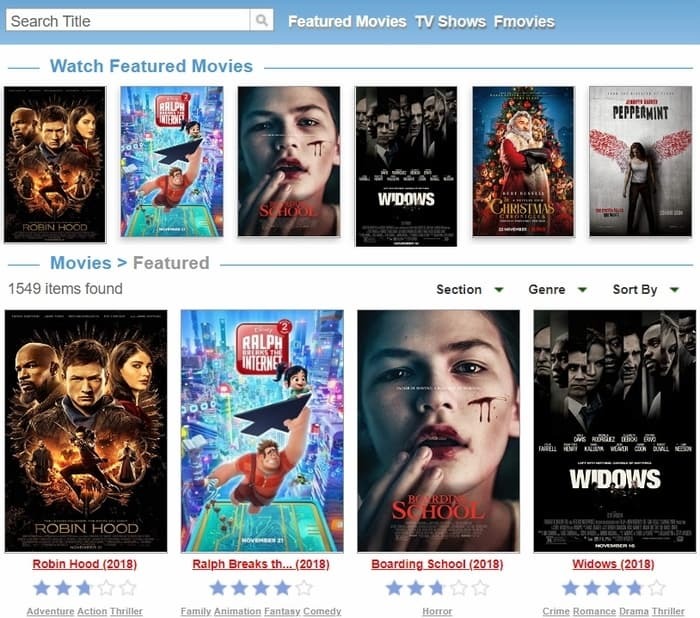 The site does seem promising and indeed, delivers on providing movies for users to enjoy. There are categories on the website to choose from and this includes 2018 movies, Action Movies, Horror Movies as well as Sci-Fi movies. There is also movie ratings which should sorta give an idea of what to expect. 123Movies is another site that has a face when it comes to online moving streaming sites. Asides movies and shows which technically, is the main aim here, the site makes provision for Animes, Cartoon as well as Asian Dramas. On the homepage of the 123movies site, you get to find latest movies in theaters. These are movies that are currently being shown in the theaters, yet available to watch on the site. There is also the recently added TV series session on the homepage should sure does what it says; updates you on the latest TV series. PrimeWire doesn’t just make movies available online for free streaming, it makes discovering new movies easy. The website has a watch featured movies session which shows some features movies for you to check out. The Just added movies session displays of the movies just added. These are all new movies as you can still see some dated as far back as 1980. However, this gives you an idea of some movies you may have missed and would like to check out. There is the latest searches sidebar as well as comments which should aid you in discovering even more movies and shows. This I believe, is made to keep users on the platform which technically, seem to be working. Compared to every other site in this list, this is one that sorta makes it pretty hard to remember. The name seems to have a hard time sinking it. However, that doesn’t spoil the fun. 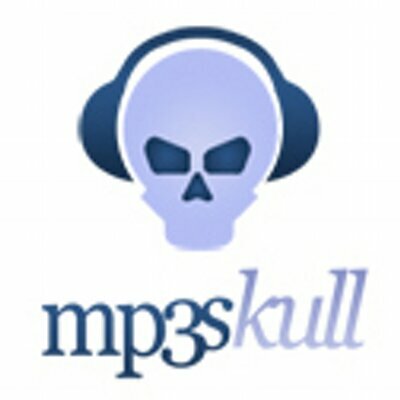 The site is still top-notch and does provides movies for users to stream for free. There is a trending movies session which should give you an insight on what movie is trending on the website. There is also the newest episode session which displayed the latest episodes to perhaps, some of your favorite TV shows. To spice the whole experience up a bit, watch online series is equally one awesome putlocker alternative. 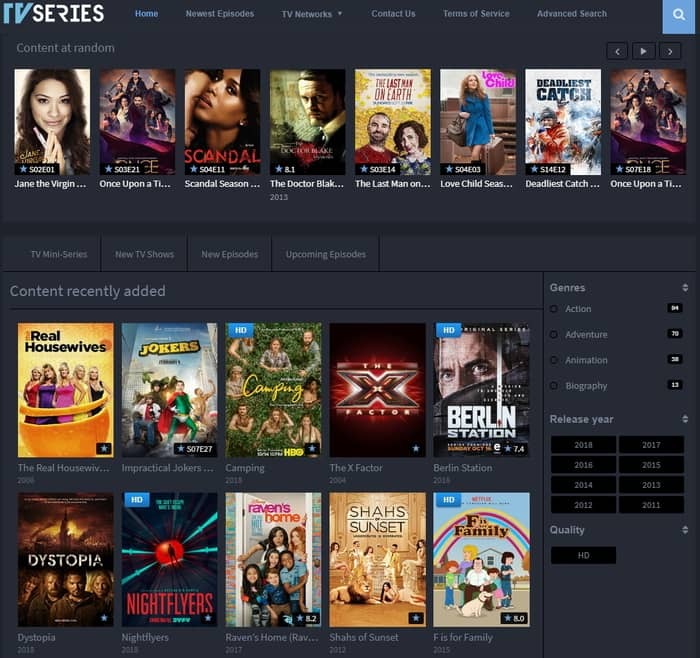 The website seem to have a design element similar to FouMovies and although the color theme is different, watch online series does have a whole lot of movies and TV shows in its database. The site has the content at random tab which showcases some movies and perhaps, shows you may be interested in. There is also the content recently added session which displays some of the latest added movies on the website. Yes, you can say I saved the best for the last. Goojara Website is Unarguably my favorite go-to-website currently for updates on latest movies and shows. This isn’t just as a result of the huge number of movies in its database, but also as a result of the site’s ease of use. Goojara makes it easy to keep up with new blockbuster movies that was available online to watch and download. Although the website doesn’t exactly host movies on its servers, it does make it easy to download from external sources like Openload. You may only have known putlocker before now, I am pretty sure this post has enlightened you more and exposed you to more online movies and TV shows streaming sites without having to pay any money. We really hope this was helpful enough satisfying your search intent.